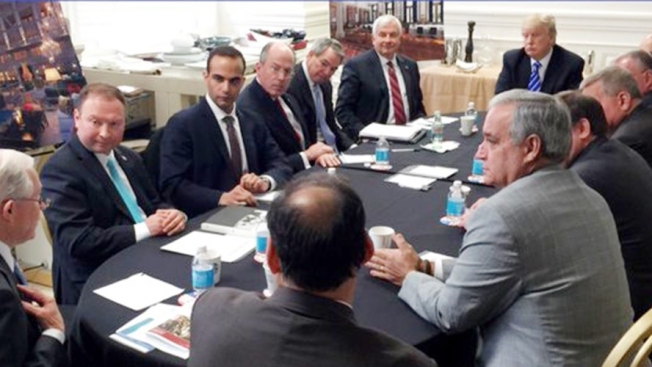 A photo from Donald Trump's Instagram account shows George Papadopoulos, third from left, at a "National Security Meeting" in Washington in March 2016. Six months ago, George Papadopoulos's fiance was making the rounds in the news media with a disquieting message for Trump supporters, NBC News reported. Papadopoulos, written off by Trump aides as a "coffee boy," was in fact a significant player in the 2016 campaign, Simona Mangiante said. And therefore, Mangiante implied, his decision to plead guilty and cooperate with special counsel Robert Mueller was bad news for Trump. "I believe history will remember him like John Dean," the Italian-born Mangiante told The Washington Post, referring to the former White House counsel who became a key witness in the Watergate scandal that brought down Richard Nixon. But in recent days, Mangiante, now Papadopoulos' wife, has markedly changed her tone. 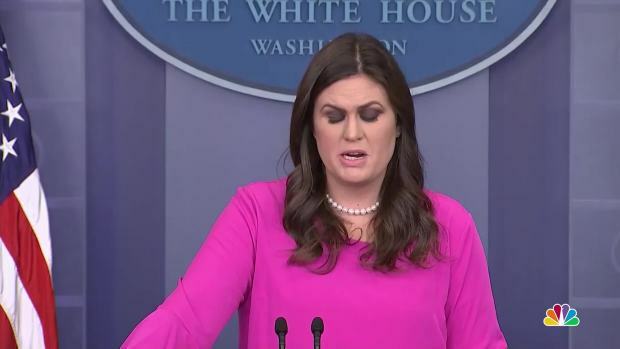 She has taken to right-wing media to proclaim that Papadopoulos played no role in collusion with Russia. On Fox News Monday night, she expressed her hope that Trump would pardon her husband.